Four members of Freedom from Torture's creative writing group 'Write to Life' share their moving, surprising and darkly humorous stories in prose and song. 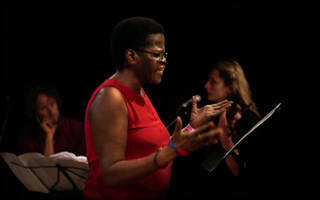 A musical journey to London from Cuba, Burundi, Uganda and Iran, with stories of what was lost and gained on the way. Performances last around 20 minutes.